Young Brothers, LLC, held a blessing for its new Tier 4 tug boat, the Kapena Raymond Alapai, on Monday upon its arrival in Hilo. 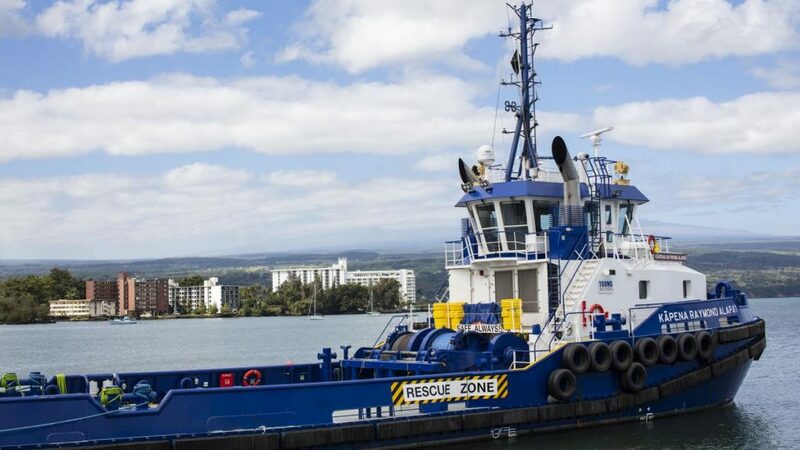 It’s the second such tug to be added to the interisland shipper’s fleet of six tug boats and eight barges, servicing seven ports on Oahu, Kauai, Maui, Lanai and the Big Island. Tier 4 tugs offer faster towing speeds with lower emissions. The acquisition of the four tugs are the first new tugs the company has added in 20 years. Young Brothers handles nearly all interisland cargo shipping, making more than 600 sailings per year.